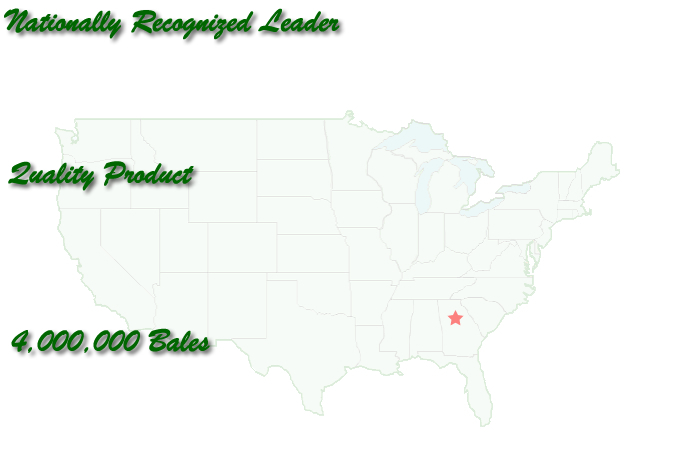 Corbin's Baled Pine Straw is a nationally recognized leader in the pine straw industry. We attribute our 30 years of success to our ability to provide a consistent level of quality, service and understanding to our customers. We believe our customer is our most valuable asset. Corbin's Baled Pine Straw is still baled in the same way our founder, C.E. Corbin, baled straw over 30 years ago. All of our straw is hand-raked, machine compressed and tied by hand with string. Our method is a bit old-fashioned and more costly to us, but the end result is a far superior product. Thanks to our loyal customers and the dedication of our employees, Corbin's Baled Pine Straw sold over 4 million bales of straw this past year. This volume can be attributed to the superior quality and efficient service that Corbin's provides.